There’s enough water on earth to fill 326 million cubic miles (or 1.36 billion cubic kilometers).6 In fact, 71 percent of the earth’s surface is covered with water.7 So why is water still so scarce for so many people? of the earth's surface water is contained in the oceans. To start with, 96.5 percent of the earth’s surface water is contained in the oceans.8 And of course, its salt content makes it useless for drinking. Desalination can make saltwater drinkable, but the high cost of that process has put it out of reach for most of the world—so far. Of the earth’s freshwater, 68.7 percent is locked away in ice caps, glaciers and permanent snow. Another 30.1 percent is in the ground.9 That leaves only a tiny fraction available as usable surface water, which comprises 78 percent of the water we use. The source of that surface water is the oceans. When water evaporates from the ocean surface, it leaves its salt content behind, and some of it then reaches the earth as precipitation—mainly, rainfall. That water then flows through our rivers and streams and collects in lakes and ponds. We depend on that runoff for most of our water needs. But geographic and atmospheric conditions can prevent the rain from reaching some places. About 40 percent of the earth’s land mass is considered arid or semi-arid. And together, those areas receive only about 2 percent of the earth’s water runoff.10 As a result, people who live in those regions often face chronic water shortages and a constant struggle to find adequate water. They typically rely on wells that tap the water in the ground. But when those wells fail, disaster follows quickly. 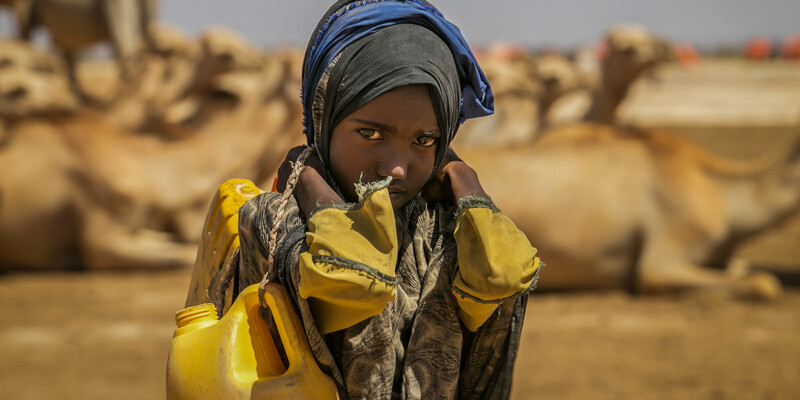 In some arid and semi-arid regions, people depend on wells that provide water during the rainy season but go dry when the rain stops. There may be more water available deep in the ground, but the wells are too shallow to reach it. GFA World (GFA) has recognized this problem and has helped solve it by helping to drill wells up to 600 feet deep. The people can then rely on those wells for water all year round. 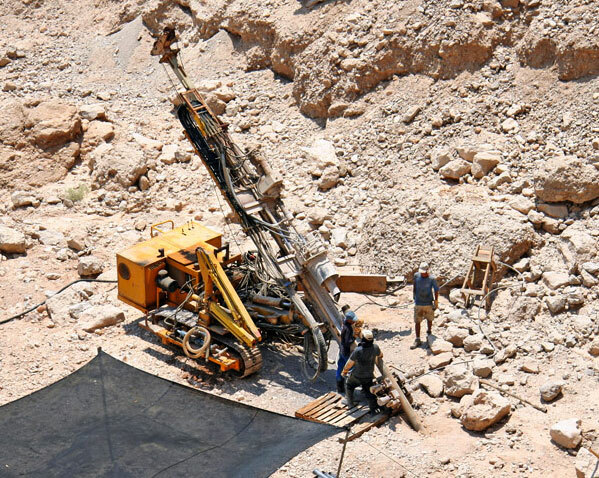 Local labour and materials are used to drill Jesus Wells, which keeps costs low. 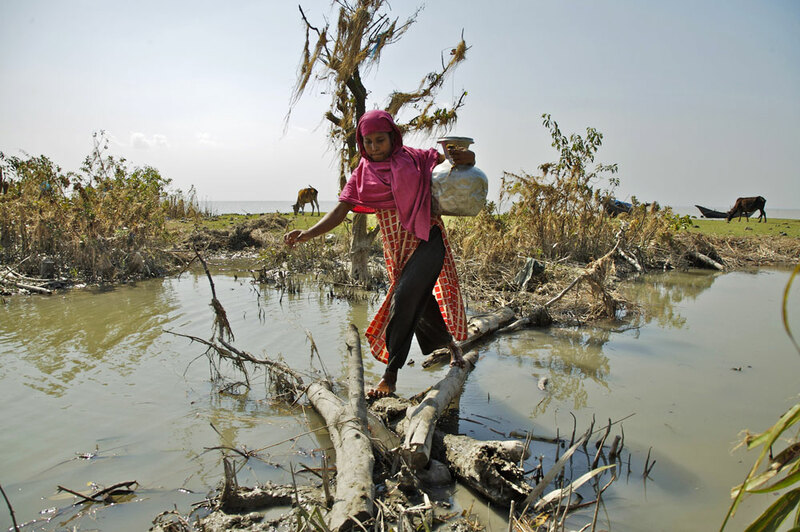 Even under normal conditions, people in many regions are exposed to life-threatening diseases from their water, including typhoid, polio and hepatitis A. Among the most common waterborne diseases is diarrhea, which can be caused by any of several pathogens. It kills about 1.5 million children every year, more than 80 percent of them in Africa and South Asia. World Health Organization (WHO) estimates that 88 percent of those deaths are caused by unsafe water, inadequate sanitation and poor hygiene.11 Diarrheal diseases kill by depleting the body’s fluids, often very rapidly. Diseases that are so deadly can be prevented with changes that are simple. 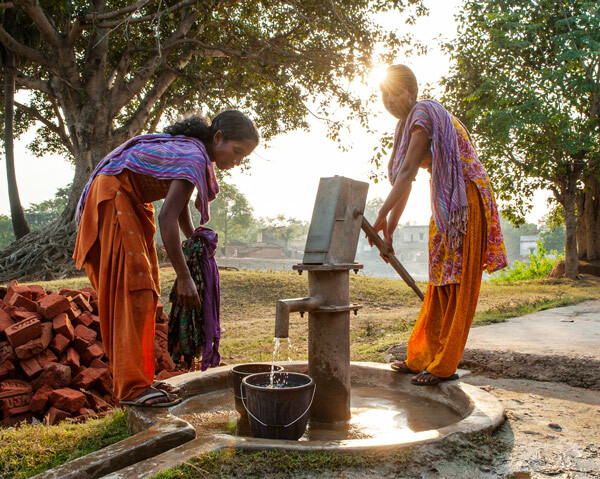 In some documented cases, improving the quality of water at the source, combined with treatment of household water and safe water-storage systems, has reduced the incidence of diarrhea by 47 percent. And studies show that simply handwashing with soap can reduce the incidence by 40 percent.14 These figures underscore a tragic truth: Diseases that are so deadly can be prevented with changes that are simple. 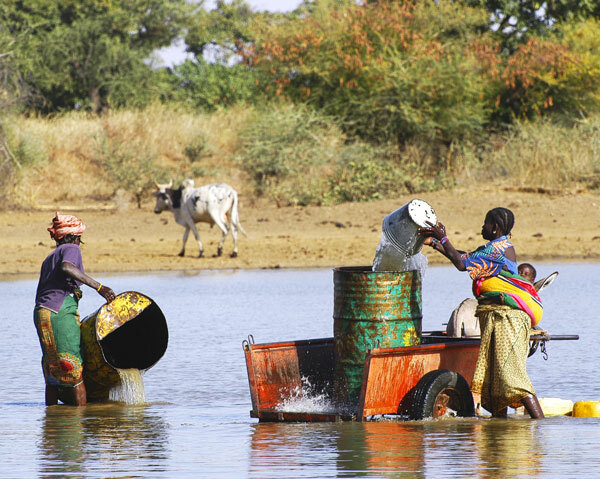 Water is a fragile resource, and its problems are not limited to the developing world. Since lead paint was identified as a major problem in the United States during the 1970s, a concerted national campaign reduced its impact over time. But Americans received a wake-up call in 2014 when the water supply in Flint, Michigan, came under scrutiny—as described by Karen Burton Mains in GFA’s special report “The Global Clean Water Crisis: Finding Solutions to Humanity’s Need for Pure, Safe Water.”15 Residents complained about the color, taste and smell of their water. 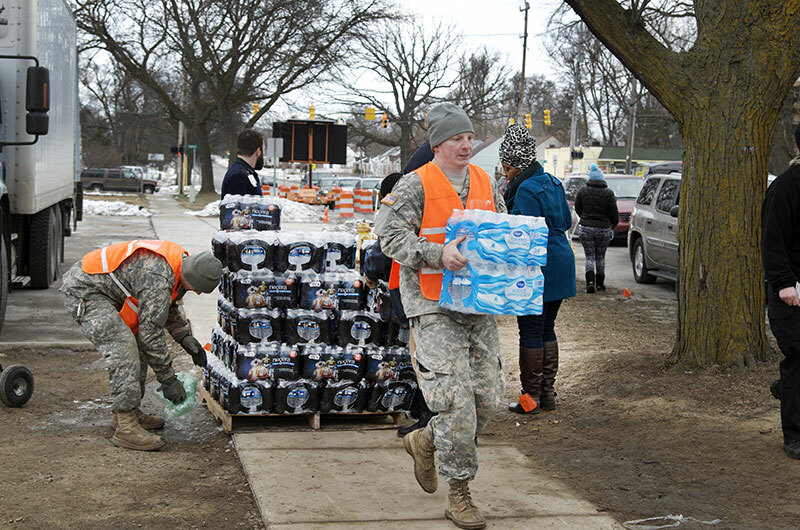 It turned out that the service lines from water mains to individual homes in Flint were made of lead and were not treated with corrosion inhibitors, which keep the contamination at acceptable levels. Eighty-seven cases of Legionnaire’s disease were associated with the contaminated water, leading to 12 deaths. Overall, more than 100,000 people had been exposed to a dangerous poison. The Flint saga reminded everyone that water is a fragile resource, and its problems are not limited to the developing world. In 2017, the Reuters news agency conducted an investigation that revealed how widespread such issues really are even in the United States. Their reporters discovered 3,810 areas in the U.S with childhood lead poisoning rates twice as high as those found in Flint. And 1,300 areas showed lead levels four times greater than those found in Flint.16 The affected locations included 34 states and Washington D.C. In the best of outcomes, such a national scandal should at least inspire compassion for others around the world who struggle to find clean water. Arsenic is well known as a poison, but it’s actually an element that occurs naturally throughout the world. 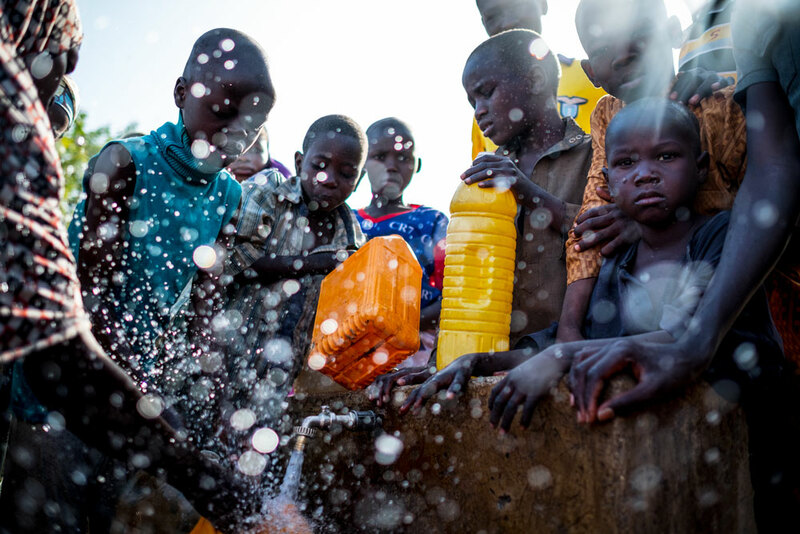 When it enters a water supply, however, it can cause unimaginable suffering. 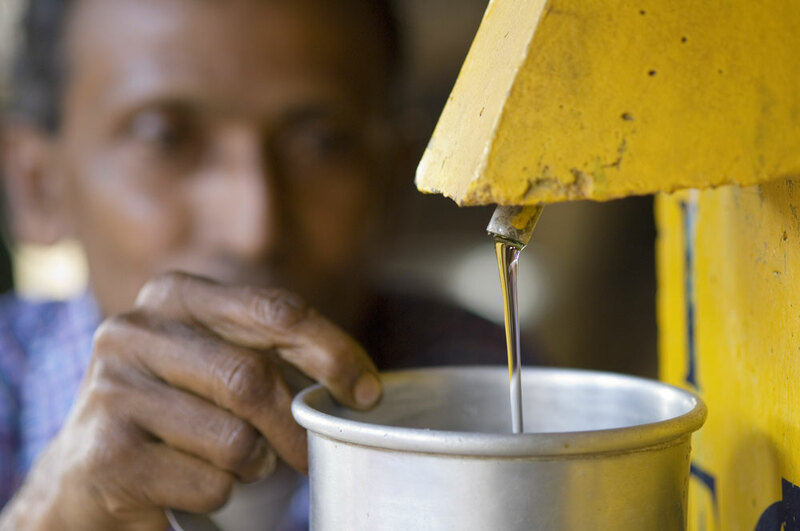 In 1983, scientists discovered arsenic in the water of 33 villages in West Bengal, India. 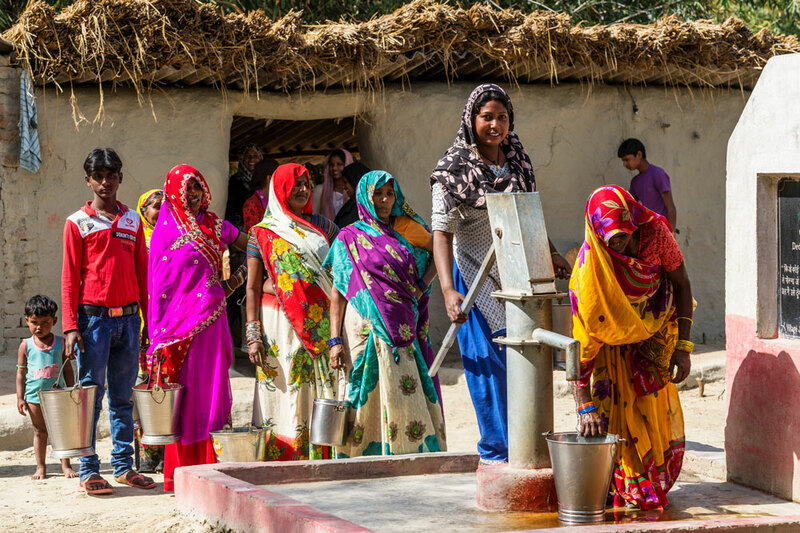 Subsequent investigations revealed similar contamination in 2,417 villages along the flood plains of the Ganges River.17 Arsenic poisoning can cause severe abdominal pain, nausea, vomiting and diarrhea. Other symptoms include abnormal heart rhythm, muscle cramps and tingling extremities. Some victims first notice unusual lesions and growths on their skin, and many then discover they have cancer. Victims of arsenic poisoning can recover if the source of their illness is removed in time. Several other disease-causing trace elements—most of them heavy metals—contaminate water supplies today. 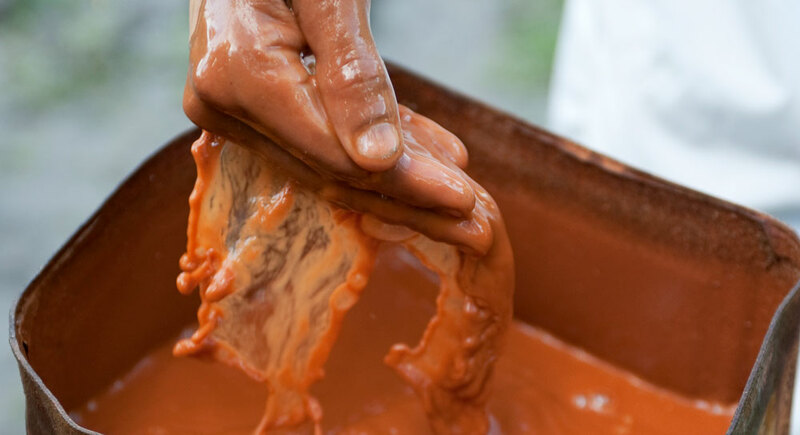 Cadmium accumulates in the kidneys and hepatic system and can cause cancer. Chromium, likewise, can cause liver and skin cancer when it reaches high levels. Zinc and copper can also be dangerous to health. 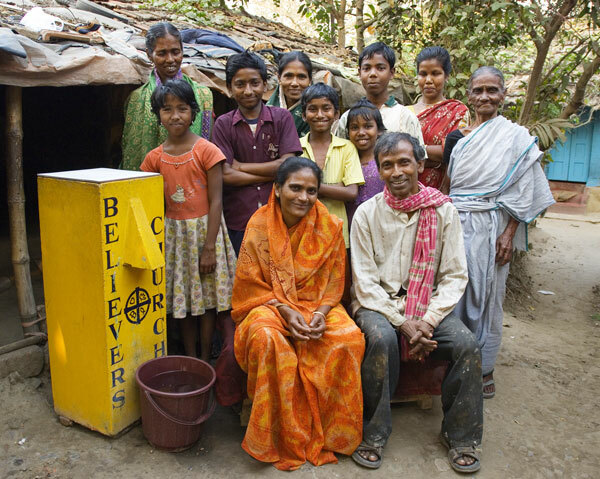 Members of this family suffered from waterborne illnesses, but now they—and their neighbors—are benefitting from a simple-to-use BioSand water filter. Located in the vast savanna region south of the Sahara Desert, Burkina Faso endures up to eight months of dry weather each year.18 When drought makes conditions even worse, as it did in 2016, a true crisis occurs. That year, the capital, Ougadougou, was able to provide only intermittent water service for its 2 million residents. People were forced to travel far into the countryside to find usable water.19 Water shortages like this, and the power outages that accompany them, have become a normal part of life for city residents. 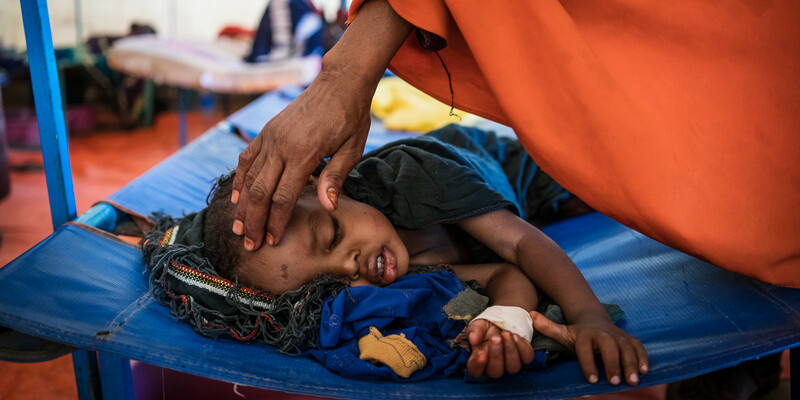 According to Water Aid UK, 4,500 children under the age of 5 die of diarrhea each year in Burkina Faso, and nearly half the residents live without clean water.22 When the rains do come, mosquitoes that breed in the standing water spread malaria, yellow fever and dengue fever. Efforts to improve conditions in Burkina Faso haven’t always been effective. 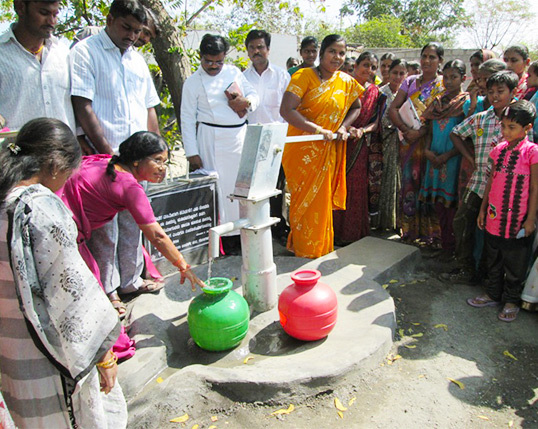 Relief workers from Water Aid UK found that many existing wells there were unusable because of broken handpumps. And toilets provided by the government to improve hygiene were going unused—because people don’t know what to do with them.25 This underscores the importance of education to go along with physical improvements. One without the other leads to failure. Against this stark backdrop, a number of entities are working valiantly to reverse the cycle of despair in Burkina Faso. Since 2000, the government has taken real steps to address the crisis, creating five water basin committees to protect and preserve water resources throughout the country.26 Meanwhile, many non-governmental organizations are helping by drilling new wells, repairing old ones and training local people to manage their water effectively. Among these are the aforementioned Water Aid UK, Myra’s Wells, SIM missionary organization, The Water Project, Hearts for Burkina, Engage Burkina, and Living Water International. In recent decades, India has emerged as a global economic powerhouse. It is now the seventh-largest economy in the world by nominal gross domestic product (GDP)27 and at least the fourth largest in purchasing power parity.28 Much of this success stems from the technology field, India’s fastest-growing sector. Information technology, process outsourcing and software services are among the country’s booming industries. But success is accompanied by great challenges. India is home to about 1.34 billion people and is still growing. Its population, now the world’s second largest,29 is projected to overtake China’s as early as 2024.30 This has placed unprecedented stress on the country’s water resources, which are already stretched to meet the needs of a growing population. In the countryside, the challenges are different but just as dire. Agriculture uses some 80 percent of India’s water.36 When water is unavailable, the farmers feel it immediately. They can quickly lose their livelihoods. 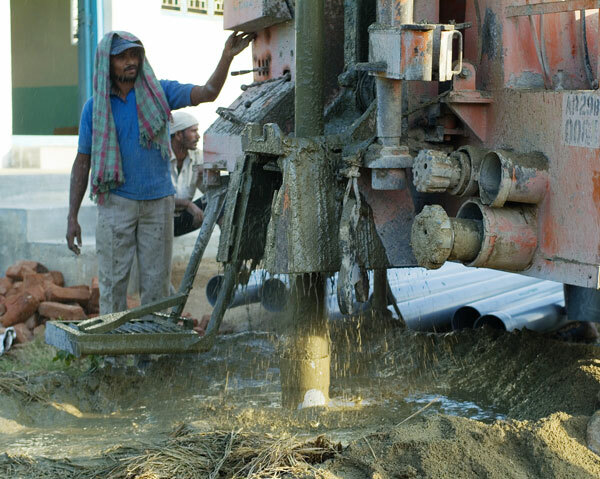 For years, GFA has been helping to equip national workers to get wells installed in needy communities. 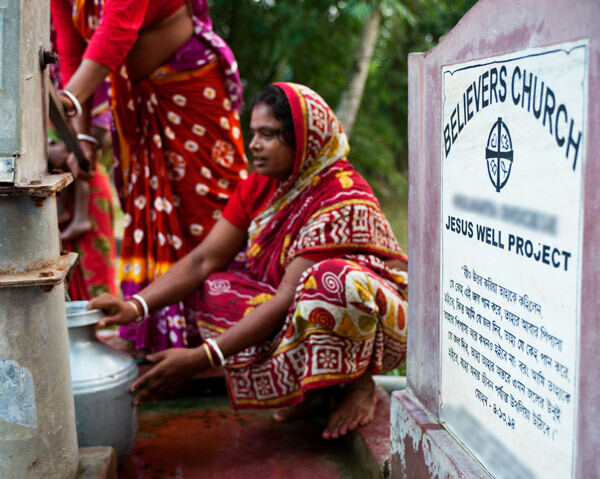 They’re called Jesus Wells and are fitted with a plaque sharing Christ’s words to the Samaritan woman: “Whoever drinks of this water will thirst again, but whoever drinks of the water that I shall give him will never thirst. But the water that I shall give him will become in him a fountain of water springing up into everlasting life” (John 4:13–14). Israel’s visionaries then turned their sights to the world’s most abundant water source—the oceans. The idea of processing seawater for drinking and agriculture has long been an elusive dream for people around the world. Israeli scientists experimented with several desalination techniques, most of which proved too costly to be practical. 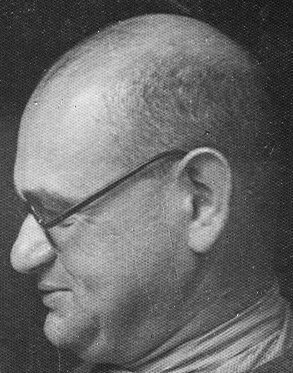 But with perseverance, Israel developed a system which, though still expensive, provides an important supplement to its other water sources. Israel now has several functioning desalination plants on its Mediterranean coast, which provide an astonishing 27 percent of the country’s water.42 Most importantly, the desalination plants serve as a kind of insurance policy against severe droughts and other disruptions. The ocean, after all, is always there. Internally Displaced People fill containers with water at a tap inside the Dalori camp in Maiduguri, Borno State, Nigeria. Provide BioSand water filters. Just one of these portable, inexpensive items can literally save an entire family from a life of sickness and hardship. To deprive vulnerable people of this simple solution would be tragic. Drill deep wells. Not every well will endure through droughts and overuse, but here’s the key to long-term success: Don’t stop when you hit water! Keep drilling. Deep wells will ensure the water keeps flowing through the dry times. Train local people to maintain the wells. What good is a well that’s broken or contaminated? Remember 50,000 wells in Africa alone are sitting unused because of inadequate maintenance. It’s not enough to provide the well. Instilling the knowledge to maintain it over the years is also essential. Launch water-reclamation programs. Sewage may be unpleasant, but it’s also a valuable resource. Properly treated, reclaimed water can revolutionize agriculture almost anywhere in the world. Develop national water policies. Water is a community resource. It can’t be managed effectively with scattered, isolated efforts. Most national governments are grappling with this reality. Some are responding with effective programs. That must happen on a wider scale. Pursue desalination. It’s expensive now. But so are sickness, poverty and death. The ocean is the one water source that will never be depleted. This is a promising avenue for the future. Progress on Drinking Water, Sanitation and Hygiene: 2017 Update and SDG Baselines. Geneva: World Health Organization (WHO) and the United Nations Children’s Fund (UNICEF). Licence: CC BY-NC-SA 3.0 IGO. 2017. Accessed December 26, 2018.